The summer term is winding a close, and with its end come new hours of operation for the library. Beginning on Monday, July 29th, the library will be open Monday-Friday from 8am-5pm. This schedule will be in place until the first day of fall term classes, August 28th, so please don't forget about this when you get the urge to come visit! Time for a study break? Hello, Panthers! As we switch between half-terms (or for some of you, move into the last stretch of the full-term classes), please don't forget about the library! Take a break from your studies with the latest edition of the Quad, Birmingham-Southern's Literature and Arts Journal, or if you'd rather grab something to go, we've got plenty of new DVDs to help you unwind and give your brain a break! 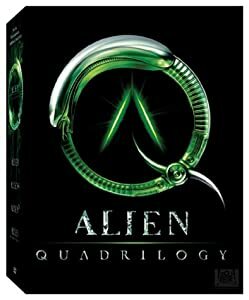 The library has once again expanded its film collection, thanks to funding by SGA, which now includes such gems as Crouching Tiger, Hidden Dragon, Double Indemnity, and the ever-popular Alien quadrilogy. Be sure to visit our new videos page to see what else has been recently added to our collection!